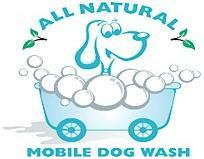 All natural mobile dog wash provides a professional dog washing and grooming service that comes directly to you. My mobile van is fitted out with the latest grooming equipment, including a state of the art hydrobath to fully clean and pamper your dog effectively and professionally. I only use eco friendly, organic and all natural products and clean fresh warm water to pamper your pooch. The use of these products assist in the care of your dogs specific skin care conditions especially if they are prone to allergic skin reactions or problems. I service the Hawkesbury and Western Sydney areas and I am the owner/operator with over 10 years experience in the industry so you can rest assured that you are dealing with a professional at all times. I am passionately committed to taking care of your dogs health holistically both inside and out. I look forward to meeting you and your dog and helping you care for your dogs, skin and coat to ensure the best well being for your beautiful pampered pooch. My passion for animals started when I was young, I always loved caring and looking after animals. I began working as a vet nurse in a veterinarian clinic and I then worked for several grooming salons, followed by owning my own mobile dog grooming business for 8 years. I then had some time off to become the mother of two beautiful children. In that time I trained as a beauty therapist, therefore I have a complete understanding of how the skin functions and how to best treat it. Firstly, my main aim is to provide a dog wash/grooming service that caters for all your dogs skin and coat needs. 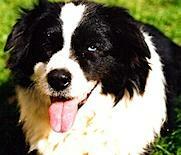 Secondly, I offer a range of unique naturopathic products that can treat your dog from the inside out. Most skin allergy problems originate internally therefore by using the correct products internally and externally you can holistically treat your dog the best way possible. My vision of treating dogs naturally is to treat the cause and symptoms your dog may be exhibiting whilst they enjoy the new healthy way of pampering your pooch with no harsh chemicals and you will find you will have a much happier, healthier dog. For very frightened dogs I offer a rescue remedy treatment to help calm and soothe there emotions, so they can enjoy their pampering. Every dog and owner has their own individual wants and needs and I am happy to accommodate and respect them where possible. Looking forward to meeting, supporting and educating you and your dog, in holistic canine care.